Garcinia cambogia is a small, pumpkin-shaped fruit, sometimes called tamarind. Though native to Indonesia, it is also grown in India, Southeast Asia, and West and Central Africa. It has long been used in traditional South Asian dishes, including curries and chutneys. Many also use the fruit for curing fish and preservation. Adding this ingredient to meals is considered to be effective in making meals more “filling.” In some villages in Malaysia, garcinia is used to make a soup that is eaten before meals for weight loss because of garcinia’s appetite-blocking abilities. This plant offers one of the least expensive herbal supplements on the market. The ingredient from the rind of the fruit could hasten your weight-loss efforts. The natural extract is called hydroxycitric acid (HCA), and researchers claim that HCA can double or triple one’s weight loss.With proper weight-loss efforts (dieting and exercising), the average person taking HCA lost an average of four pounds a month. How Does Garcina Cambogia Work? The HCA extract from garcinia cambogia supplement aids in weight loss by doing two things: It helps to block fat, and it suppresses your appetite. Recent research shows that Garcinia cambogia decreases cholesterol levels by lowering the amount of fat that is stored in the blood. The supplement is also known for increasing the amount of HDL cholesterol (good cholesterol) in the body. 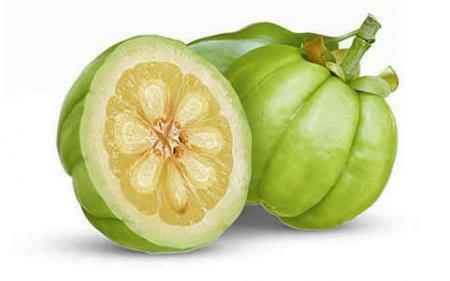 At the same time, Garcinia cambogia works to stabilize blood pressure in people with hypertension. Garcinia cambogia strengthens the immune system and helps minimize the risk of contracting certain diseases such as the flu. It also decreases the severity of symptoms and enables for a faster recovery. Garcinia cambogia extract has been shown to improve mucosal defense, which protects against ulcers and promotes overall digestive health. The extract also reduces the amount of acid in the stomach, allowing an increase in production of protective, gastric substances. The hardest part about a diet is always resisting temptation. Fortunately, Garcinia cambogia is a natural appetite suppressant that will help you get through this diet phase. The amount of serotonin, a hormone partly responsible for controlling your appetite, is increased with the use of Garcinia cambogia. As a result, you appetite decreases and so do the amount of calories you consume. Garcinia cambogia’s ability to prevent the storage of fat is perhaps its most astonishing factor. Normally, additional calories and carbohydrates that go into your body turn into fat cells and cause weight gain. With Garcinia cambogia, excess calories and carbs never get the chance to turn into fat cells and are eliminated right away. Garcinia cambogia contains high levels of HCA (hydroxycitic acid), which is a substance known to speed up the metabolism. This helps you burn fat at a much faster rate than you normally would.